​An American Icon since 1946, Hot Dog on a Stick™ began as the entrepreneurial dream of Dave Barham. What began as a small beachfront store in Santa Monica has grown to over 75 locations and hot dog franchises in the United States, as well as locations in Korea! And that beachfront store in Santa Monica is STILL serving our famous food and lemonade to beachgoers today! Hot Dog on a Stick™ has stayed true to its roots by still serving our original lemonade and hot dogs on a stick, and has grown to include cheese on a stick, French fries, funnel cake sticks, and even Nathan’s Famous beef hot dogs! Today’s menu still offers our original delicious products—which we still make fresh each day—to serve our hungry, loyal customers. Starting a business with Hot Dog on a Stick™ allows you to take advantage of our unique position in the fast food industry. How do we stand out from our competitors? Where to begin? Our delicious hot dogs, fresh lemonade, quirky uniforms, and fun-loving atmosphere set us apart as the hot dog franchise that goes all in. We focus on quality products and quality practices. Just like there is no substitute for a delicious Hot Dog on a Stick™, coated in mom's famous cornbread, there is no substitute for our professional and experienced franchise system. We provide all the training and resources a franchisee needs to open and operate an American hot dog franchise. ​The appeal of Hot Dog on a Stick™ is obvious: we all grew up eating these delicious treats on trips to the beach or the mall, and the hand-stomped lemonade tastes just like summer, even if you drink it in the middle of a snowstorm. Our world-famous Party Batter recipe is the same one we have been using since we opened our first store in 1946, because if it ain’t broke, don’t fix it! Not only is our fast food brand quick and convenient, but our ingredients and recipes create the high-quality food that the rest of the fast food industry is missing. ​All across the nation, people are waiting for Hot Dog on a Stick™ to open up and bring them the joy of a delicious Hot Dog on a Stick™ and a fresh, hand-stomped lemonade. Many people ask if they can purchase a predefined territory and the short answer is yes! Qualifying franchisees have their pick of territories all across the United States, and even internationally. ​Square footage ranging from 600 and 1,200 square feet of space. A typical modular, prefabricated non-traditional store will use between 400 and 800 square feet of space. ​Where Do You Want To Place Your Franchise? ​Hot dogs are a staple of American cuisine. Don’t believe us? According to research by the National Hot Dog and Sausage Research Council*, Americans eat 20 billion hot dogs each year. That’s 70 hot dogs per person, every year! Needless to say, people love hot dogs. They are delicious, easy to eat, and offer a flavor unlike any other. In the fast food industry at large, consumer tastes are broadening, which is giving unique opportunities to restaurants that do not fit the hamburger-and-French-fries mold. 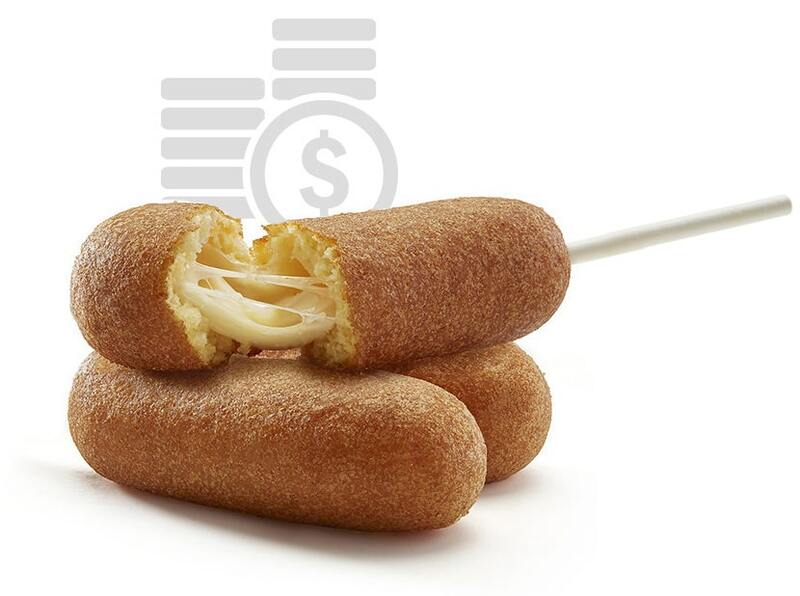 ​​When you invest in a Hot Dog on a Stick™ franchise, you are investing in more than delicious hot dogs and hand-stomped lemonade. You are investing in your career and your community, which is why this business opportunity is a great way to get started as a business owner. ​We work hard to make franchising easy and fun for our owners. Hot Dog on a Stick™ franchisees get a sense of satisfaction from working toward their own goals in their own business, while being part of a larger brand. When you start a Hot Dog on a Stick™ franchise, you will receive outstanding training to help you get started on the right path. Does this sound like a franchise opportunity you can sink your teeth into? Are you ready to take the leap and start your very own hot dog franchise? Learn more about our opportunity by downloading our franchise report or contacting us directly. We look forward to working with you! ©2019 Hot Dog On A Stick®, a Global Franchise Group, LLC Company. All rights reserved. How much does it cost to open a hot dog on a stick franchise?